New products will be added to lineups of B&Plus non-contact connectors that wirelessly supplies 24V1A to IO-Link devices and enable wireless IO-Link communication. Since the device can be wirelessized, it realizes automation of equipment with maximum flexibility. It is an innovative product that can connect 2 channels and manage 2 IDs. 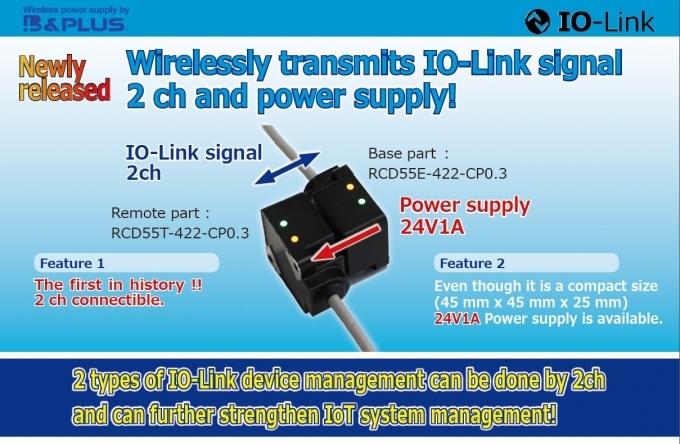 ■24V1A can be supplied to the connecting IO-Link devices. ■Protection class IP67！Can be used in harsh environment, in humidity, dust or oil. 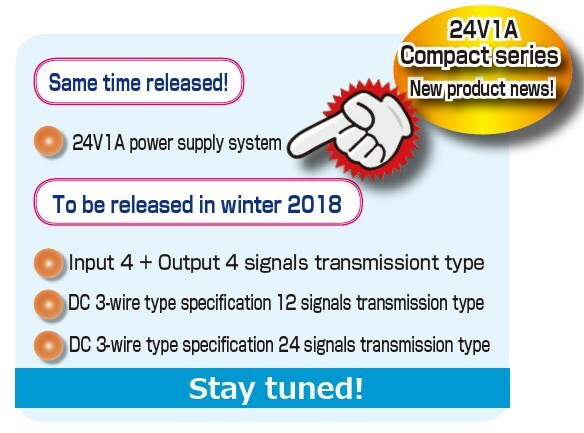 Some more new products will be added to the compact size high power remote system in this winter. Stay tuned for new products!